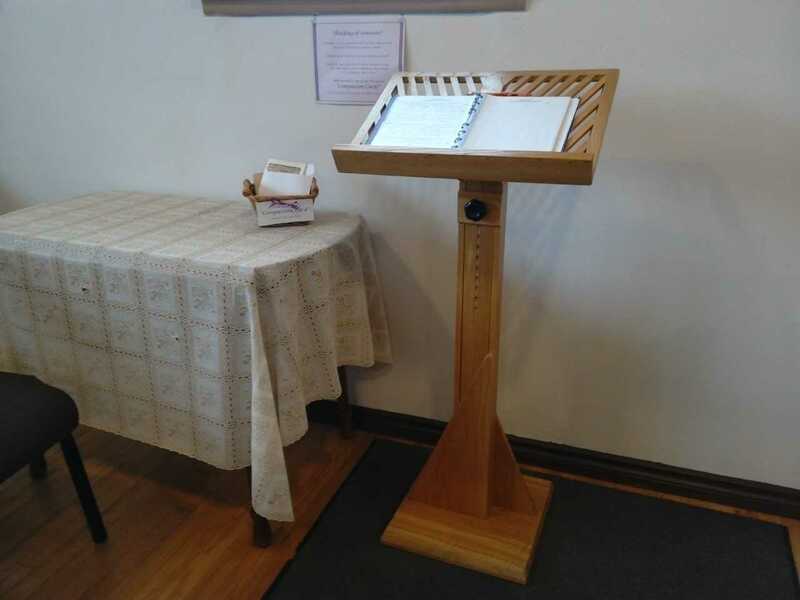 Westwood’s compassion log is housed in the sanctuary & is one way for members, friends & staff to keep in touch beyond Sunday candles of concern & celebration. The purple notebook rests on a stand at the rear of the church. The log is provided to address gaps in congregational connections. Members & friends expressed concern for the wellbeing of folks missing from Sunday services & other Westwood events. And for not knowing when & if there is a need for congregational compassionate responses. It serves those who prefer to write an entry, rather than light a candle, and is one way for Westwoodians to share information & updates on behalf of those unable to attend. The log informs members & friends encouraging them to follow up with individual gestures & actions of compassion. Westwoodians are welcome to make an entry at any time. Kindly date & sign your passage. If you are writing on behalf of another member or friend, please be sure you have consent for a message on their behalf.